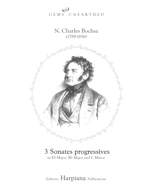 Bochsa’s Three Progressive Sonatas present a good alternative to the well-known ones by Naderman. They are the easiest sonatas in the harp repertoire, presenting a young musical prodigy’s first foray into pedagogy, and the fun spirit behind the technical patterns lends them charm and spice. 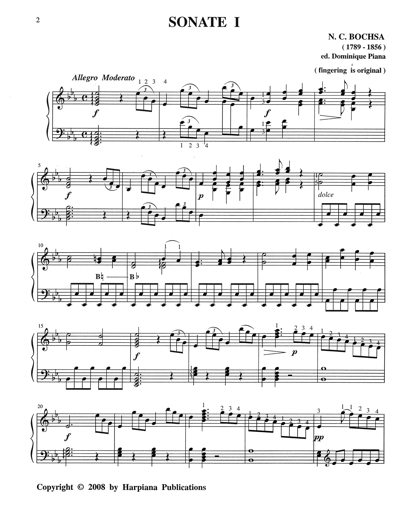 They also make very user-friendly material for sight-reading and for light background music, in an expressive late classical style still destined to the single-action harp. Newly typeset, corrected and marked for easy understanding and performance.